“Bacon.” Lettuce. Avocado. Tomato. I don’t like to eat avocados in restaurants. They’re a go-to vedge option on almost every menu these days. But they can be mushy and, well, I like making them for myself. At home. For breakfast at this time of year. 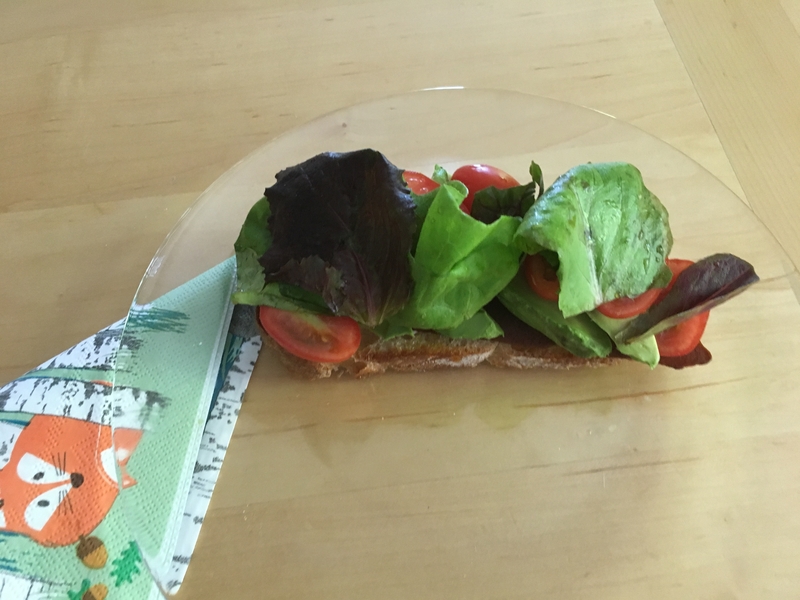 So, here’s a meatless riff on the classic open-faced B.L.T. Meaty, a little spicy, juicy, creamy, crunchy, protein and brain-food (fat) rich. Are you hungry yet? Heat the sourdough bread in a cast iron or stainless skillet with about 1 teaspoon olive oil. Heat it on a medium flame for about one minute, on both sides. Remove and plate. 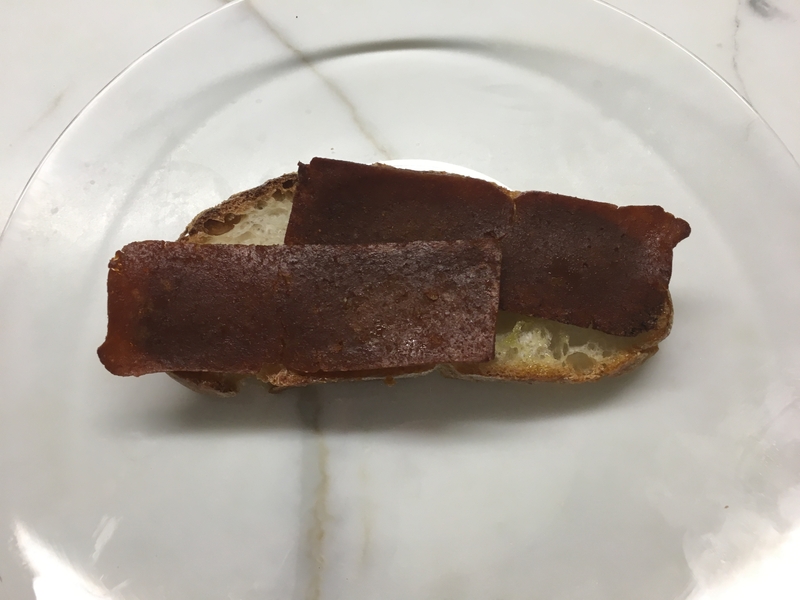 Fry the seitan bacon in grape seed or safflower oil and dredge on a brown paper bag. 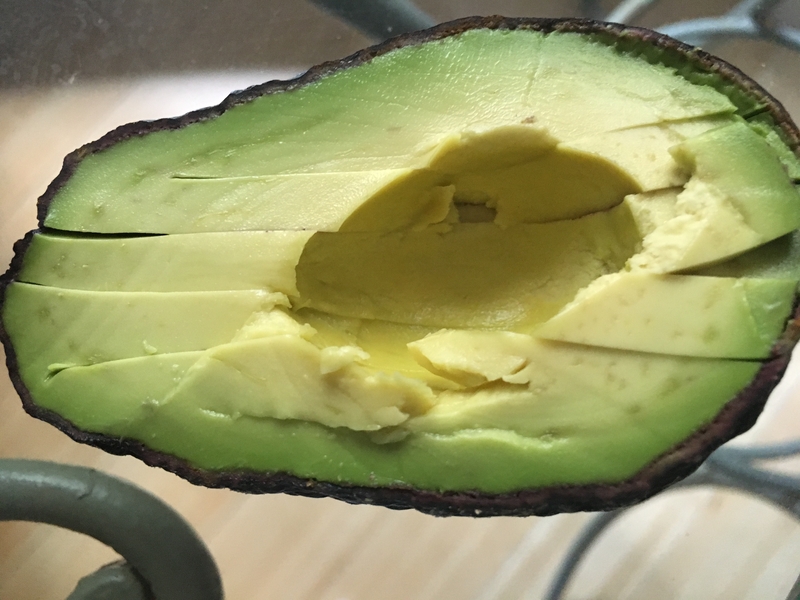 Cut the avocado in half. 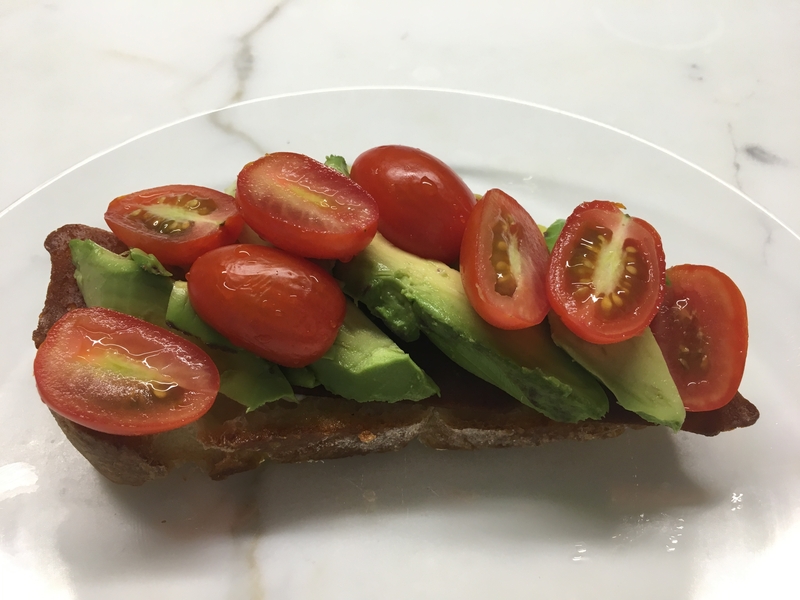 Use the pitless half; carve about 5 slices into the avocado half while still in its skin. Place the seitan strips on the toasted (fried) bread. 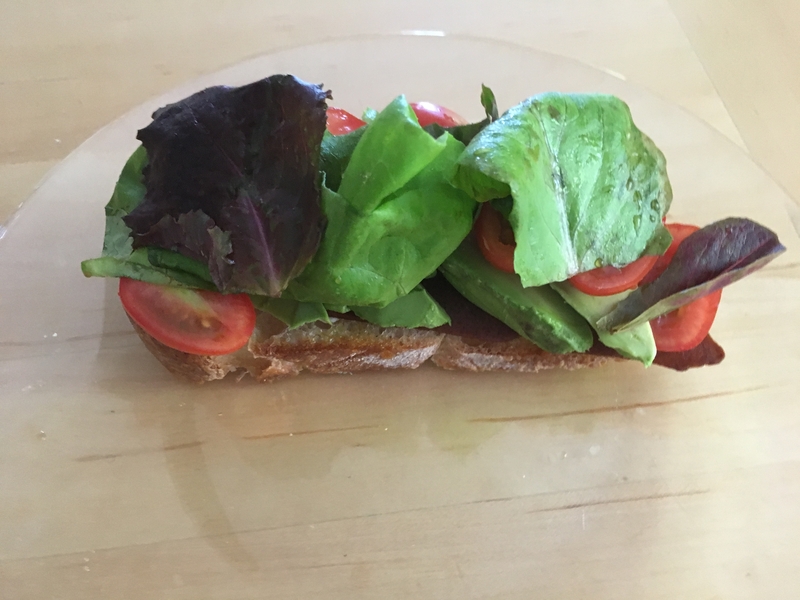 Halve the grape tomatoes lengthwise and scatter them on the avocado. Top with a mix of green leaves including beet greens, romaine, butter lettuce,baby kale, mizuna, sorrel, red oak lettuce, radicchio and more. Squeeze the lime on top. Serve on a plate, placing it so that it seems to be crowning the plate. Take small bites. Savor each. Chew each mouthful well. S has ****LOVED*** this class! Thank you so much for all you have taught her and all the ways you've helped her develop even more of a passion for food, eating and Jewish culture.